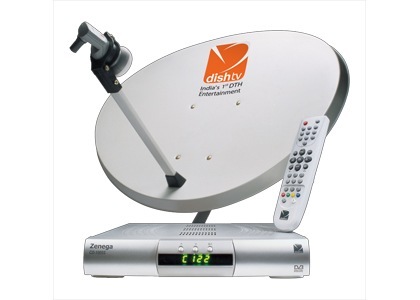 Dish TV, Asia’s Largest DTH service today announced achieving a record 5 Lakh new subscribers on its platform during November 2010. With this significant achievement, Dish TV has become India’s first DTH service to add 5 Lakh new subscribers in a span of 30 days. Dish TV also crossed 9 million subscribers milestone in November. “It is extremely gratifying to be the top grosser in the industry in terms of net subscriber additions. Dish TV is indeed glad to see such a tremendous response by the DTH consumers, which has been instrumental in redefining the dynamics of the sector and achieving a record new subscriber addition of 5 Lakh in one month”. We thank and appreciate every subscriber’s faith in making us Asia’s largest DTH Company. This bears testimony to the efforts that have been put into making our services the best in the industry and we will continue to innovate and provide world-class products and offerings to our subscribers. A response of such magnitude makes us confident of setting new benchmarks in customer service in the months to come. Dish TV has been driving the digital revolution in India and remains focused to further consolidate its leadership and achieve its guided acquisition target of 3 million subscribers to reach 10 million subscribers by the end of current fiscal while aiming at profitability in the months to come. Please assist me for recharging dish tv from Afghanistan.